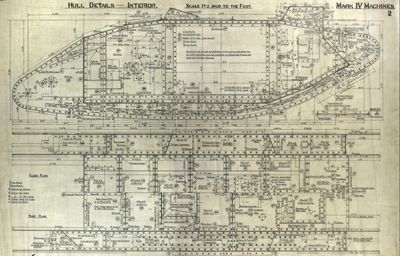 Prior to the Mark IV, just 250 British tanks had been built. They had all been made by Fosters of Lincoln and the Metropolitan Carriage, Wagon and Finance Company in Oldbury, Birmingham. 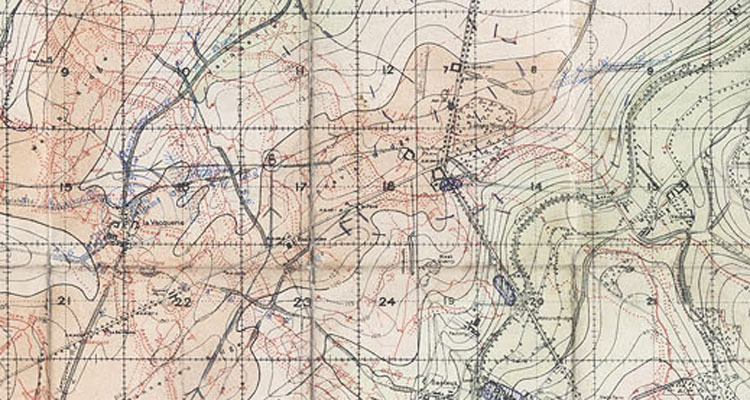 However the War Office now planned to build 1000 Mark IVs. It was clear that such a massive increase in production meant other firms would have to be brought in, both as sub-contractors to assemble components and manufacturers to build complete tanks. Hurst Nelson assembled hulls like this into complete tanks. Firms all over the country were involved in building the Mark IV. Armour plate was made by William Beardmore & Co. of Glasgow as well as Cammell Laird and Vickers, both in Sheffield. Track links came from Fosters and Clayton & Shuttleworth, both based in Lincoln. The six pounder guns came from Armstrong Whitworth in Newcastle, and the automotive components (engine, gearbox, flywheel, clutch, differential and radiator) were built as a self-contained unit by the Daimler Company in Coventry. Female members of staff at Fosters. These components would then be moved to factories up and down the country for final assembly. Metropolitan and Fosters were both able to assemble complete tanks from parts, but other firms lacked either the size or expertise to do this. Armstrong Whitworth; Coventry Ordnance Works; Mirlees, Watson & Co. and William Beardmore & Co. all took in hulls assembled elsewhere and finished them by installing the tracks, automotives and sponsons. Production ran from March 1917 to October 1918. Metropolitan built 820 tanks, Fosters, Armstrongs and Coventry 100 each, and both Mirlees and Beardmore 50 for a total of 1220. It’s very likely that other firms were also involved in building the Mark IV to a greater or lesser extent, but records of who they were and what they built haven’t survived. 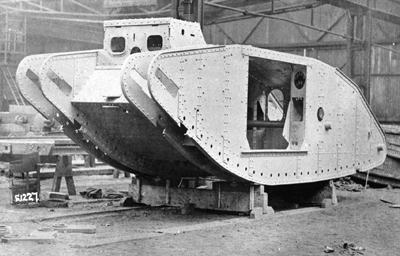 Tanks under construction at Fosters. Automotive sub-assemblies can be seen between the two rows. 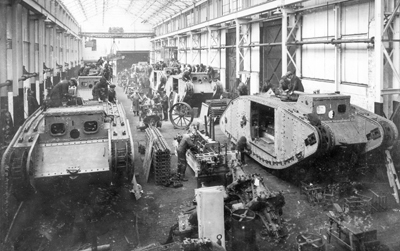 Unlike on a modern production line the tanks didn’t move whilst they were under construction. Instead the workers moved around the tank fitting parts, with the largest components brought in by trolley or crane. The inner frames were constructed first, then the floor and lower body were riveted in place. The outer frames were then built and the track rollers, gears and drive sprockets fitted between outer and inner. 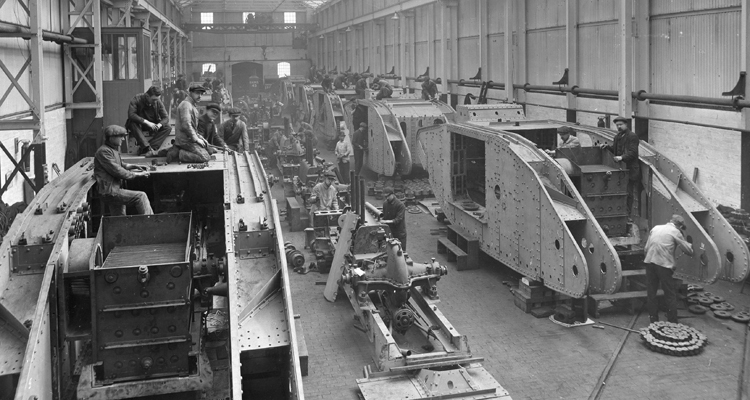 The tracks themselves were laid out flat on the factory floor and the tank was lowered onto them. An engineering drawing of the Mark IV. The complete automotive sub-assembly was then lowered into the tank by crane and the rear and roof panels attached. 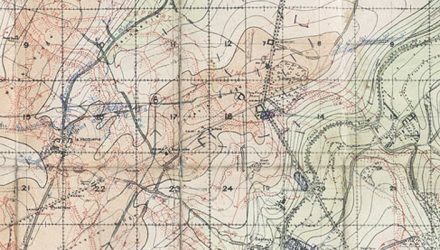 Smaller components including ammunition racks, the petrol tank and the sponsons were then added, before finally the tracks were joined up and the tank was driven out of the factory for delivery. 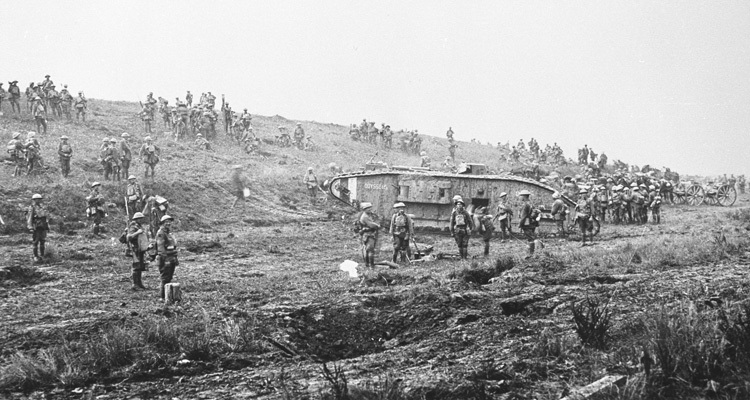 Numbers were painted on the armour panels to ensure they were all fitted to the right tank. Buidling the Mark IV was a complex undertaking. 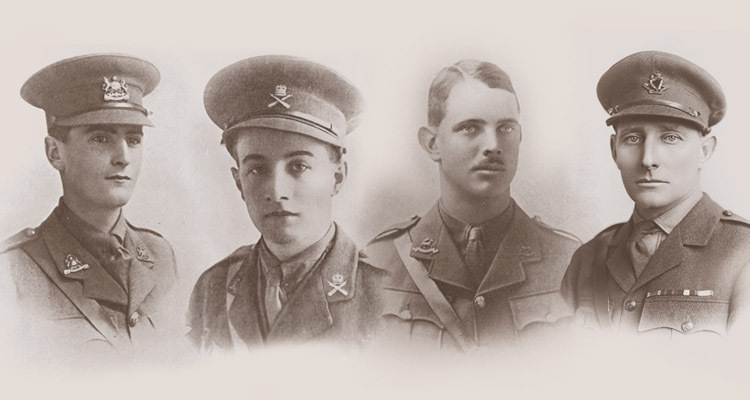 They were at the cutting edge of technology and making them required skilled labour and large amounts of materials, manufacturing and railway transport capacity. This would have been challenging in peacetime, but Britain was at war and the economy was struggling to expand manufacturing capacity to meet demand. Warships, aircraft, vehicles, artillery, firearms, shells, bullets and all the other equipment required by a country at war were also needed, not to mention civilian goods. Tanks were just another item on the list, and by no means the most important. 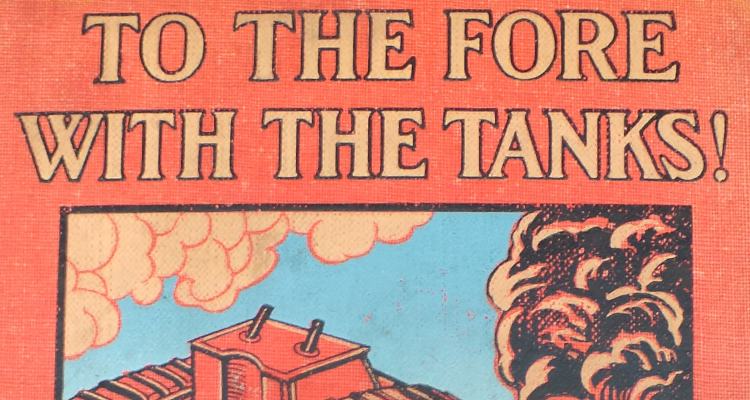 Follow the story of tank development from Little Willie to the Mark IV.